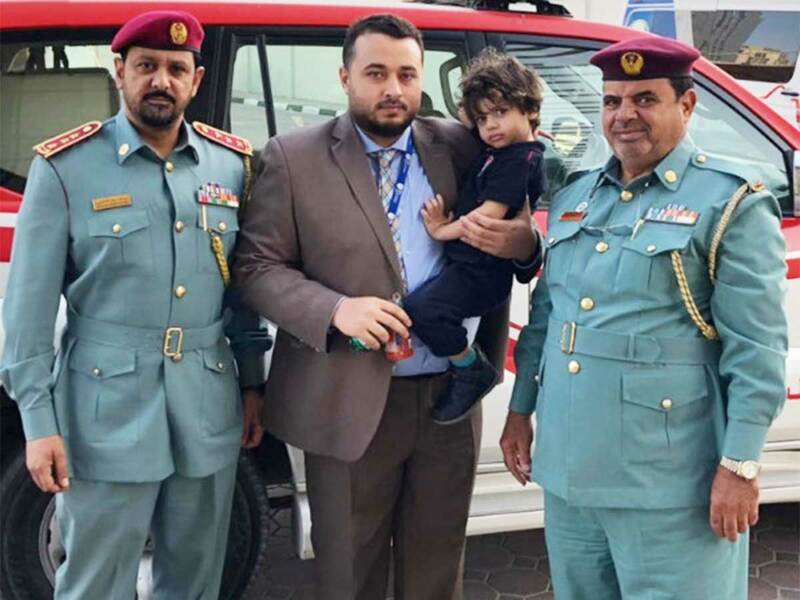 Ajman: A four-year-old Arab boy was reunited with his family after police found him sitting alone by a roadside on Thursday. Major Khalfan Abdullah Hameed, director of the investigation branch at Al Nuaimyah police station, said officers found the boy near a mosque in Al Nuaimyah at 6.45am on Thursday while they were out on a routine patrol. The boy was taken to a police station and at 7.45am the police received a missing person’s report regarding the child. The boy’s father had lodged a complaint asking the police to help him find his son. Police told him they already had the boy and was handed back to the father. The police made the boy’s parents sign an undertaking promising to take care of their son in the future. Major Hameed also appealed to parents and families to pay closer attention to their children, especially when they are out of the house, reminding them to never leave their children alone under any circumstances. He also urged parents to make sure doors in houses were locked to ensure children couldn’t wander out.